Nathan Ross Walker has enjoyed the opportunity to work in the web/mobile app development arena for over 15 years. His varied background rooted in the world of design and the arts provides him a unique approach to problem solving. Spending several years working across multiple industries including entertainment, audio/video production, manufacturing, b2b marketing, communications, and technology helped establish a focused sensibility with client needs. 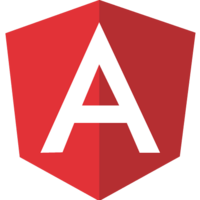 In this course, we will learn how to work with NativeScript for Angular. We will start with the basic fundamentals of getting setup to run our app in the iOS Simulator in addition to an Android emulator using GenyMotion (https://www.genymotion.com/). Understand how to build your native mobile views with NativeScript XML and how to style them with CSS. Using the NativeScript for Angular starter template provides a nice setup out of the box including the core theme which provides handy CSS classes to work with speeding up view building. For page navigation, we will learn how to use the Angular Router to configure a flexible routing setup for our app. The ListView component is a powerful and highly performant native control for handling your lists powered by the UITableView on iOS and native ListView widget on Android. We’ll highlight how you can use RxJS Observables with our native views. Let's also take a look at integrating npm plugins to enrich the UI component library. Lastly, a round up of styling how-to's including integrating SASS for custom app theme creation as well as creating a live app theme switcher.